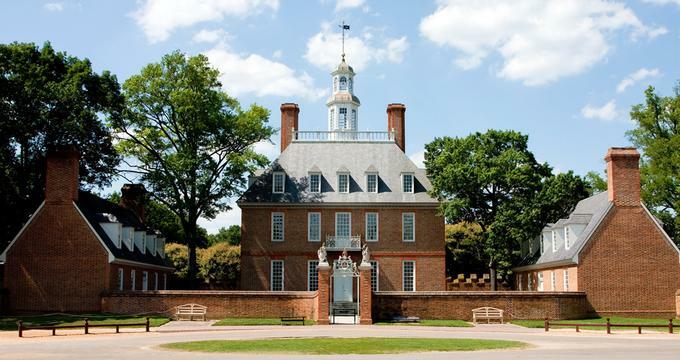 Williamsburg, Virginia is a popular tourist destination all year round. Summer is the peak season in Williamsburg. Many schools have breaks, so the city can be crowded during the summer months. It can also be quite hot and humid during the summer. Christmas is also a busy time in Williamsburg, Virginia - there are many wonderful celebrations that families enjoy. The weather in the winter can be cold but there is very little snow compared to the surrounding areas. The fall months and the spring months are the best times to visit the city. The weather is pleasant and comfortable; there are fewer people; and hotel rates go down. January is Williamsburg’s coldest month with a freezing average low temperature of 30°F (-1°C). The average high temperature peaks at 47°F (9°C). January also brings the most snowfall to the city with an average of 2 inches (5 cm). In February, the average snowfall decreases an inch (3 cm) as the average high temperature increases to 51°F (11°C). Low temperature averages at 31°F (0°C). Williamsburg Weather in March: Spring officially arrives in March bringing with it slightly warmer temperatures. The average high temperature peaks at 59°F (15°C) while the average low temperature increases to 38°F (3°C). April receives an average precipitation rate of 4 inches (94 mm) coupled with an average high and average low temperature of 69°F (21°C) and 46°F (8°C) respectively. In May, the average high temperature makes a relatively large jump to 76°F (25°C). The average low temperature increases by ten degrees to 56°F (13°C). June sees the lowest precipitation rate of the year with an average of 3 inches (85 mm) of rainfall. High temperatures break the 80s for the first month of summer as the average high temperature peaks at 84°F (29°C). On the other hand, the low temperature increases to 64°F (18°C). Williamsburg Weather in July: Curiously, July is in direct contrast with June as it receives the largest amount of rainfall out of the year. The precipitation rate average as 5 inches (139 mm) despite July being the hottest month of the year. The average high temperature peaks at 87°F (31°C) while the average low temperature hits 69°F (20°C). In August, temperatures decrease ever so slightly as the average high temperature goes down to 85°F (30°C). The average low temperature decreases by a single degree to 68°F (20°C). August is the second hottest month of the year. September is the first month of Williamsburg’s fall season and brings with it much cooler temperatures. The average high and average low temperatures drop to 79°F (26°C) and 61°F (16°C) respectively. In October, temperatures make another steep decline with the average high temperature falling to 70°F (21°C). The average high temperature decreases by over ten degrees to 50°F (10°C). Rainfall in October averages at 3 inches (88 mm). Williamsburg Weather in November: As the last month of fall, November brings even cooler temperatures. The average high temperature peaks at 61°F (16°C) while the average low temperature drops to 41°F (5°C). December brings the first of the winter season’s snowfall with an average of 1 inch (3 cm). The average high temperature decreases by ten degrees to rest at 51°F (10°C). Low temperatures sink to 33°F (0°C). Looking forward to a trip to Virginia Beach? Make sure to plan your visit anytime between late May to early September. It’s a great time to soak up the oceanfront culture despite it being the peak season. If you’re looking for the best deals in Virginia, the best time to visit is in April or earlier in May. For those who wish to enjoy the activities in Shenandoah, the optimum time to is in June and October. Meanwhile, colonial Virginia is best experienced in May or June. Williamsburg is served by several airports. These include the Newport News-Williamsburg International Airport which is 21 miles away; the Norfolk International Airport which is 45 miles away; and the Richmond International Airport which is 46 miles away. All three of these airports offer several options for getting to Williamsburg: there are car rental agencies, taxis, and shuttles. For train lovers, Amtrak runs a service along the Northeast Corridor from New York, Philadelphia, and Washington, D.C. to Williamsburg: the train station is in downtown Williamsburg. Williamsburg is halfway between Richmond and Virginia Beach: Interstate 64 is the best way to arrive by car. Getting around Williamsburg is made easy because of the transportation system provided by the Williamsburg Area Transport Authority (WATA). It serves the city of Williamsburg as well as several nearby communities including the Bruton District of York County and the James City County. WATA buses and trolleys run seven days a week: no buses or trolleys run on New Years Day, Thanksgiving Day, or Christmas Day. The buses and trolleys conveniently stop at the Amtrak station, the visitors center, and various places throughout the city. There are single fares for both buses and trolleys and several discounts are available. WATA also offers one day, six days, seven days, and 30 days passes. Williamsburg has many choices for dining out. Some of these are quite unique. Visitors can dine in one of Williamsburg’s 18th century style taverns. These establishments serve authentic period food; the staff members wear period costumes; and musicians wander around the taverns entertaining diners. 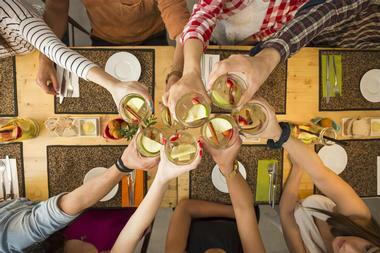 There are casual family-friendly restaurants, cafes, buffets, and delis. For a special occasion, visitors can try one of the fine dining restaurants along the river in Yorktown. Williamsburg also offers a variety of restaurants that serve ethnic cuisine such as Asian, Indian, Italian, Mexican, and many more. Fast food and national chain restaurants can be found on Richmond Road west of the city. Shopping in Williamsburg is a fun experience. There are quaint boutiques along High Street and New Town; shops along the waterfront area called Riverwalk Landing; and souvenir shops in Yorktown Victory Center, Jamestown Settlement, and Colonial Williamsburg where you can find one-of-a-kind gifts. Williamsburg is also the home of the Williamsburg Premium Outlets, the largest outlet mall in the state of Virginia. The Duke Of Gloucester Street is the best place to find 18th century items made by local craftspeople. Some of these items include silver jewelry, hats, hand-woven linens, leather-bound books, gingerbread cakes, and much more. 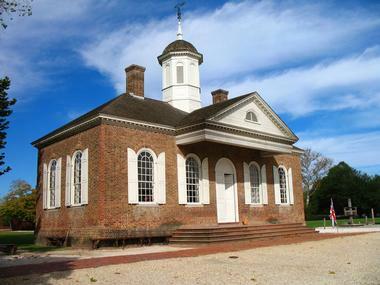 The historic city of Williamsburg with its 18th century atmosphere is a popular location for weddings. Kingsmill Resort provides riverside weddings with beautiful views over the river: this venue can accommodate up to 300 guests. 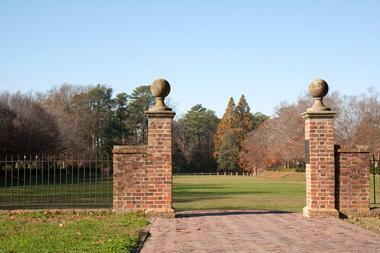 Colonial Heritage Club is a 25,000 square foot clubhouse built in the historic style of Williamsburg. Two Rivers Country Club at Governor’s Land is a waterfront wedding venue at a private country club with stunning views overlooking the James and the Chickahominy Rivers. Mallardee is a 56 acre wedding venue named after the mallard ducks in the pond; there is also a cottage and an English conservatory greenhouse on the property. 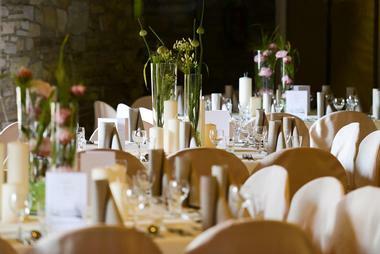 Some of the other venues include Williamsburg Inn and the Ford’s Colony Country Club. Accommodations in Williamsburg range from luxury hotels and resorts to bed and breakfasts and inns, family-friendly budget hotels, vacation rentals, and campgrounds and RV parks. Luxury hotel properties include the Williamsburg Inn, Wedmore Place, and Kingsmill Resort. The Colonial Williamsburg Foundation runs several hotels including the Williamsburg Inn, the Woodlands Hotel and Suites, the Williamsburg Lodge, the Governor’s Inn, and Colonial Houses which is a group of tavern rooms and houses. Staying at one of these accommodations offers the added perk of discounted Colonial Williamsburg admission tickets. There are also many chain hotels and motels in the Williamsburg area.